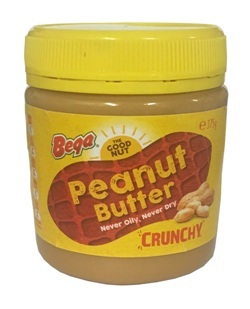 The chunks of peanut in this crunchy peanut butter give your sandwiches extra texture whilst still having the same great flavour you know and love. This Peanut Butter Is Bloody Good! I had this peanut butter for the first time, and I thought to myself as I was eating it, "This is a damn good crunchy peanut butter!" I immediately left my family, and decided to work for a crunchy peanut butter manufacturing company in Brighton. And by god was that a good move. I've never felt so alive, and so free. This crunchy goodness has spread to my mind, and I feel like a new man. Thanks Kraft peanut butter!